My husband's cousin gave me this apron she found while having a clean up in her flat. She doesn't know who stitched it, or where she got it! 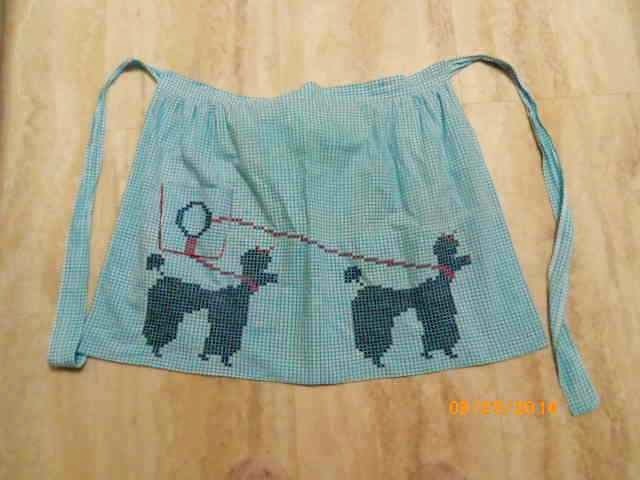 Very cute cross stitch on gingham.